"Making great films isn't about having great kit... it's about having great people"
Gary Jarman founded Pageant Productions and is an experienced, skilled and intuitive film maker, working in all aspects of video production. His work as a filmmaker has taken him to different locations throughout Europe where he also led on livestreaming live events. In recent years Gary has done a great deal of work for voluntary sector organisations and community action projects. He has developed a real passion for working within his local community and sharing his skills to empower members of the community whose voices are seldom heard. He has a strong sense of social justice with a familiarity and understanding of the health and social care system and a strong belief that film is a fantastic tool for empowering marginalised groups. Gary's sensitive and perceptive approach to working with vulnerable people has made Pageant Productions the ideal choice for video production amongst voluntary sector organisations. 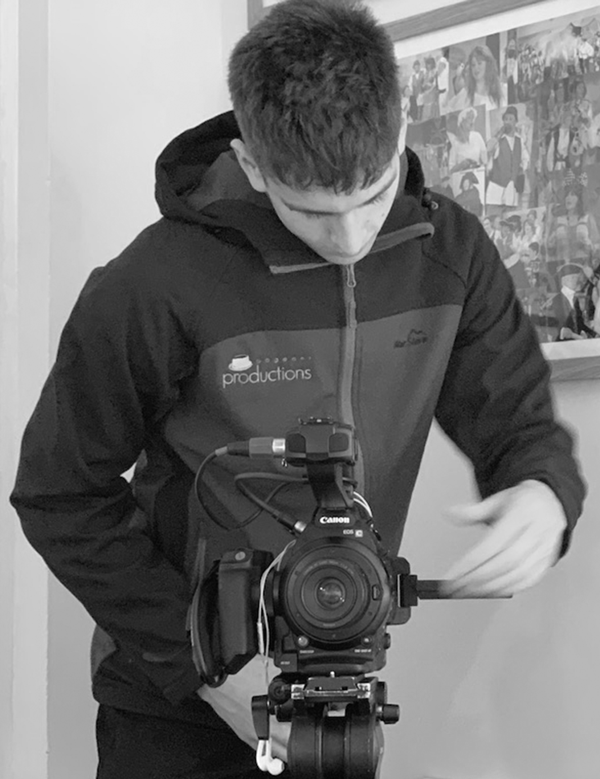 "It's a privilege to be able to tell other peoples stories with film"
Elliot is a young film maker currently carrying out work experience with Gary and we hope he will become a permanent member of the team in the summer of 2019! Elliot has a lot of talent and has demonstrated himself to be a thoughtful, friendly and competent filmmaker, believing in the ethos of Pageant productions. With an interest in narrative story telling Elliot started off making short, stop-frame animations at the age of nine. One of which, The Lost Diamond, won the Animated Exeter Youth Award in 2014. Since then he has moved more towards live action and has made a number of short films, including Daddy Driver (2017) which won the Filmstro One Minute Short Film Silver Award. Elliot's 2018 short, +44, was his longest and most ambitious project to date. It was closely followed by a second one-minute short Look. Elliot has quickly become a valued member of the team. 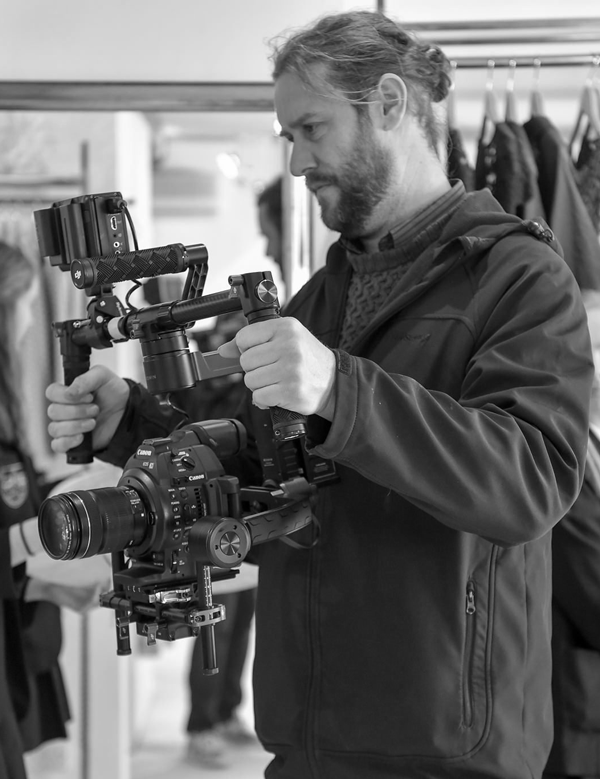 David is an experienced Director of Photography, cameraman and steadicam operator. David's list of credits includes, 'Made In Chelsea', ‘Derren Brown: Fear and Faith’ and ‘Dynamo: Magician Impossible’. Technician, set builder, grip & general troubleshooter, Chip is all of these. An experienced grip, working on countless TV productions, Chip has also spent many years set-building and problem solving in professional theatre. Mike is our UAV pilot and has his BNUC-S Pilot's Qualification, BMFA A Certificate, CAA Permission for Commercial Operations and is Certified to fly RPAS in all weight classses up to 150kg (0-7kg, 7-20kg and 20-150kg). James is the owner of M3 Productions and is a man with unlimited reserve of creative ideas. An experienced lighting designer and technician, James will bring a creative flare to every project he works on.